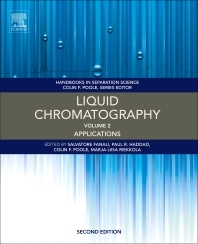 Liquid Chromatography: Applications, Second Edition,is a single source of authoritative information on all aspects of the practice of modern liquid chromatography. It gives those working in both academia and industry the opportunity to learn, refresh, and deepen their knowledge of the wide variety of applications in the field. 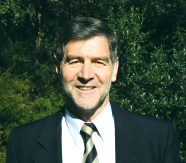 In the years since the first edition was published, thousands of papers have been released on new achievements in liquid chromatography, including the development of new stationary phases, improvement of instrumentation, development of theory, and new applications in biomedicine, metabolomics, proteomics, foodomics, pharmaceuticals, and more. This second edition addresses these new developments with updated chapters from the most expert researchers in the field. Marja-Liisa Riekkola is is a professor of Analytical Chemistry at Helsinki University, Helsinki, Finland. She is well recognized in the field of separation science. She serves as Editor of Journal of Chromatography A. Prof. Riekkola is one of the leaders in chromatography with a large number of publications.